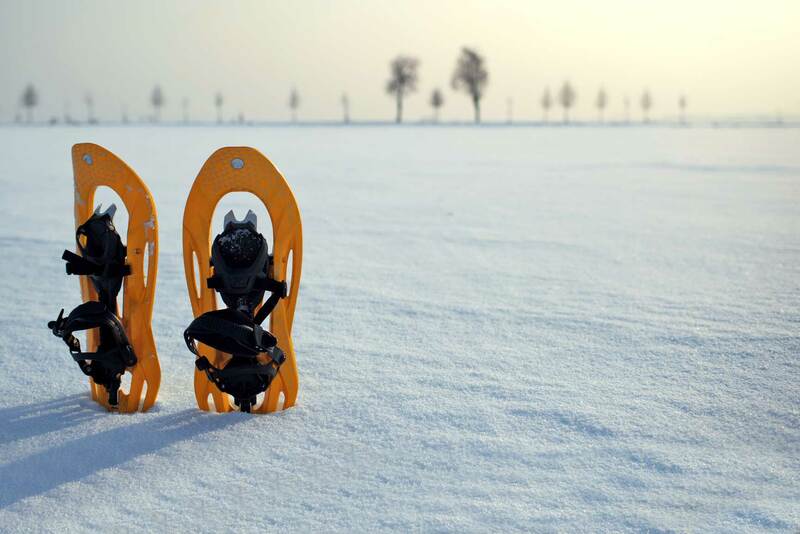 Aluminium or PVC-framed snowshoes, with bindings and ice studs or claws underneath for walking on hard snow and icy slopes. Rubber bindings: a recreational easy-to-use binding designed for gentle slopes and recommended for children and for groups. Articulating frame bindings: keep your foot and heel centred and your boot firmly in place. Adjustable straps to attach around your hiking boots, which should be of the semi-rigid sole type. Top-of-the range ratchet: bindings with articulating frames that can withstand steep slopes and harsh conditions. For use with plastic-shelled, thick-soled boots. Depending upon the type of hike, you may need an avalanche transceiver. This will be provided by Michel Gavet. Telescopic snow poles are preferable. Not only can you lengthen or shorten them to adapt to the terrain, but you can also collapse them to store in your backpack. A pair of gaiters. The usual gear for winter sports (backpack, change of clothing, sunglasses, sun cream, binoculars…). Dress adequately. Layering is important as you will need to take off or put on garments as you ascend or descend the mountains. .